A terrace is a special place. For those of us lucky enough to have one on our property, or who has access to the use of one, know how valuable these features can be. It is an outdoor space which can be used for a great range of occasions, from midday tea parties, outdoor receptions, or pure relaxation in the sun. A terrace differs from a balcony or porch in the sense that it is uncovered. 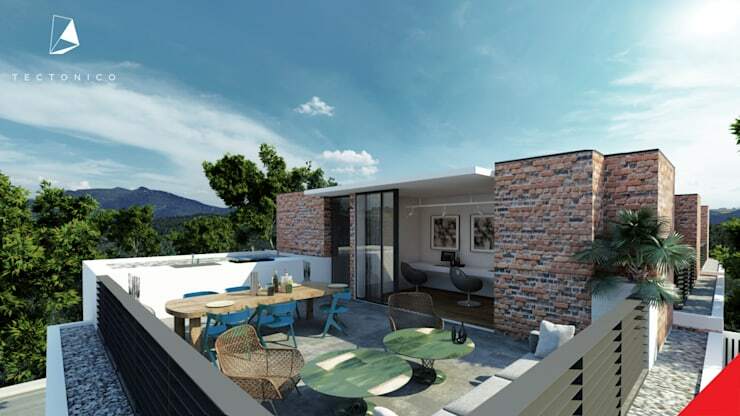 The most famous of these are the rooftop terraces so popular in the city, which brings the benefit of making use of limited space in addition to providing the entertainment space. First on our list we have a rustic charmer. 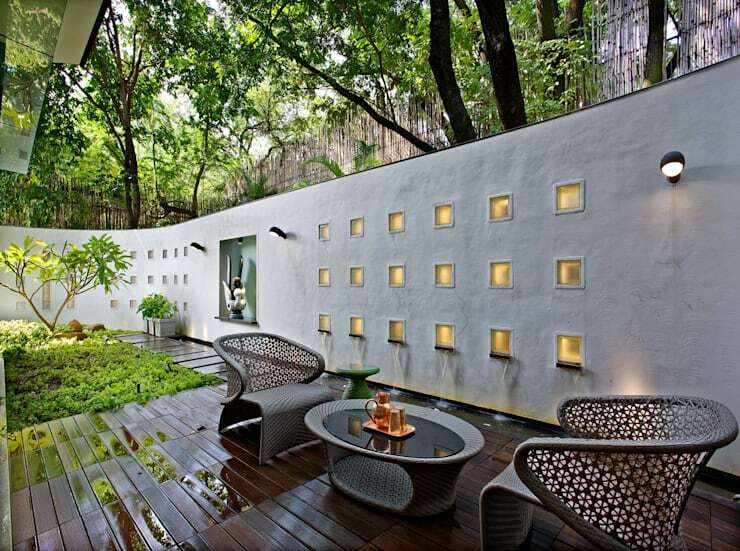 This terrace graces the back of a home, and is sure to provide the perfect space for entertaining guests. The stone pavement and walls provide a Mediterranean atmosphere. 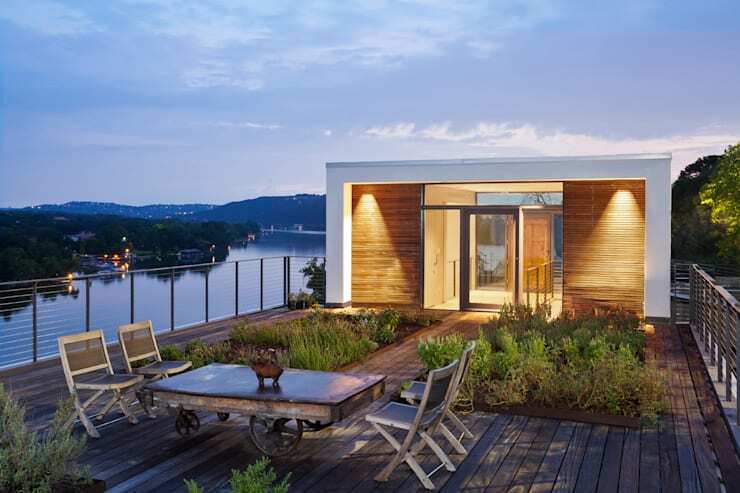 Next up is this spectacular number on top of a home along a scenic river, brought to us by Specht Architects. Besides panoramic views of the waterway, this terrace combines the modern style of the home's structure with rustic elements such as the wooden deck and the shabby chic furniture. It also hosts a lovely garden! The rooftop terraces continue! this one is a charming and colourful terrace in the city. We can see that this space had been well planned, including furniture, potted plants, and several decorative elements. This rooftop terrace is something else. Located in bustling London, this design natural elements to provide a pleasant contrast to the concrete jungle. 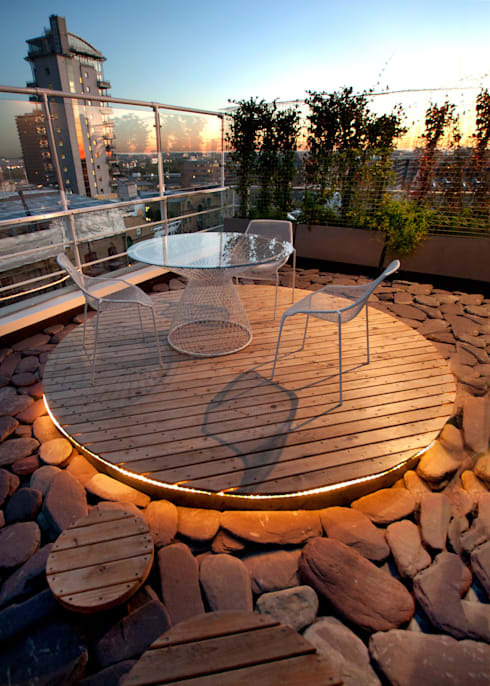 A wooden disc situated amongst large pebbles, the terrace is lighted from below to create an extraordinary effect. Number 5 on our list shows some oriental inspiration. In addition to this, there is a strong connection with nature. The result is a beautiful harmony which is certain to ensure relaxation. Lastly, we have this terrace on the second level of a house in the rolling hillside. Sitting at either the spacious dining table or the more relaxing coffee tables, you are sure to enjoy the same beautiful view. 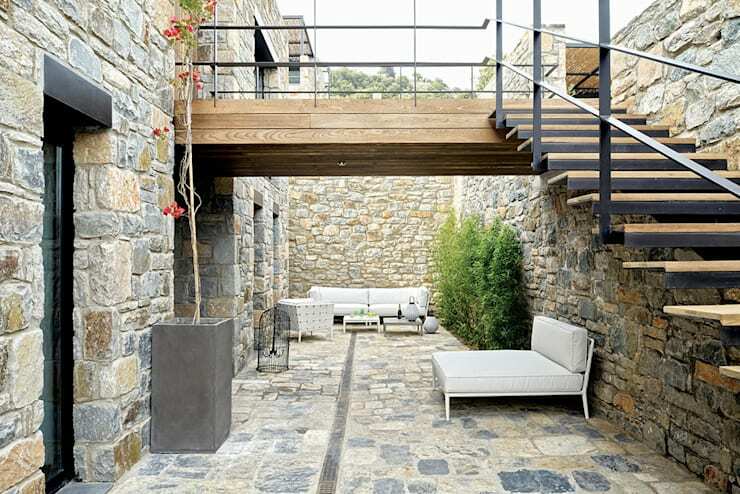 Now if you were inspired by these sensational terraces, take a look at these: 7 ideas to create your own perfect terrace! Which one of these terraces is your favourite?